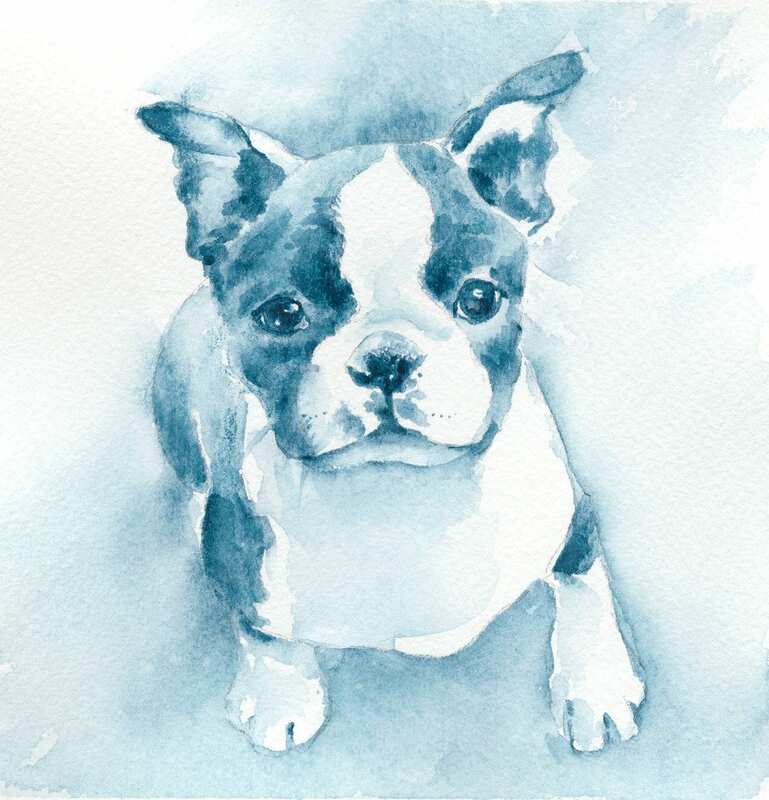 🐾 "Boston Blues Pup" is an archival fine art giclee print from my original ink & watercolor painting. "All you need is Love" is the motto of this intelligent & friendly pup. 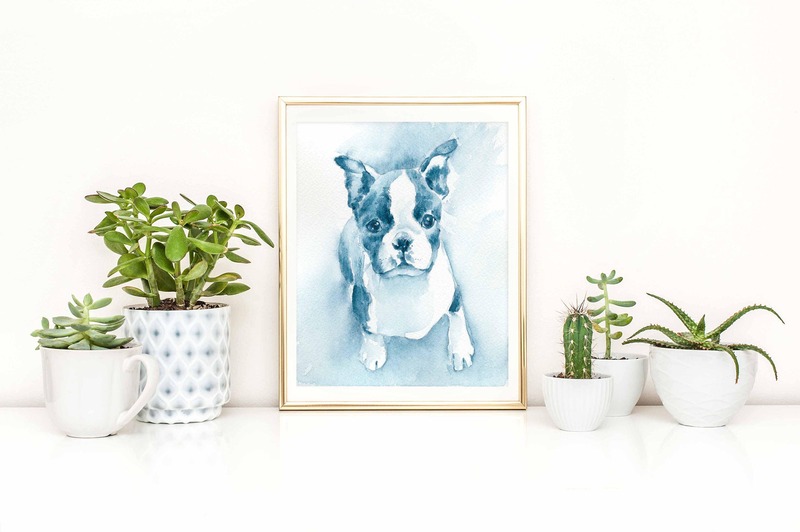 While personalities vary from dog to dog...some Bostons are sassy, some are mellow, while others will do ANYthing to make you laugh...the one thing they all have in common is their LOVE for people, attention and activity. A true empath, the Boston Pup knows when his person is happy, sad, or lonely and adjusts her behavior accordingly. It's no wonder Boston guardians rarely have just one!